This course is intended for people seeking to develop or improve business writing skills at the intermediate level. Participants are expected to be experienced in baasic spelling, punctuation, and grammar skills as well as to have basic writing skills, including sentence and paragraph development. Participants will learn concrete business writing techniques that are easy to apply. These tools can be used immediately to write e-mail messages, letters, and reports that get results and project professional competence. Knock out writer’s block and organize messages quickly. Use the most effective and appropriate message order to achieve desired results . Improve professional image through correct use of grammar and punctuation. Decrease the time it takes to write high-quality documents. Write persuasively through effective word choice, use of a positive tone, and emphasis of benefits. Enhance professional quality of written communications through editing and proofreading. 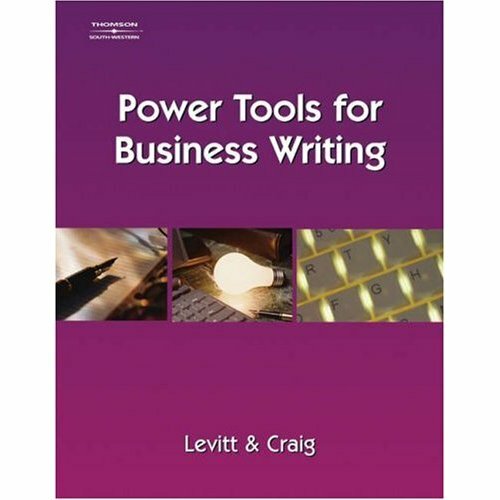 The nationally-published book, Power Tools for Business Writing, by Julie Levitt with Jeff Craig, is provided for each course participant. This comprehensive book features easy tools to boost business writing effectiveness quickly. The book serves as both a learning tool and an efficient, user-friendly reference for future use. It also reflects current business trends and standards. Assessing Your Writing: Does It Meet Business Standards?